Worldwide, Mostly Mint Dealer Stock, on #102 cards, identified in 6½ red boxes, countries running A to M, clean and fault free, some light duplication, ready for retail, generally Fine to Very Fine. Scott approximately $95,000 ++ (Owner's). Worldwide, Outstanding Collection of Seals and Labels, Over 7, 200 pre 1930's mostly different in 6 stockbooks, great variety, one of the finer collections of this area we have seen, Fine to Very Fine. Worldwide, Fascinating Seal and Label Collection, Over 6, 300 pre 1930's in 4 stockbooks, great variety, a wonderful collection, Fine to Very Fine. Worldwide, One Box Accumulation, A pleasing plethora of philatelic plunder from around the world, new, old, small countries (Bhutan, Korea, Liechtenstein), big countries (Canada, Australia, Mexico, Turkey), but no U.S., in #102 cards, glassines, stocksheets, sheet protectors and the like, most are in the nature of modern new issues going back 50 years or so, but there are many earlier that can be either mint or used, many fun items worth a quarter or so, but many better items with values to $50 such as Iceland and Denmark, a little bit of duplication, our consignor has made an effort to remove damaged items, thousands of dollars in catalog value, generally Fine to Very Fine. Worldwide, Mint and Used Dealer Inventory, Four Banker Boxes, ranging from a number of country and Worldwide collections, starting with a well-filled Newfoundland and Canada collection, Newfoundland includes mint/used #61-74 and 115-126, Canada large and small Queens, mint Jubilees 1¢ to 50¢, 98-103, mint/used, Netherlands binder, 2-5 used, onward mint and used and a lot of Semi-postals, B1/B451, Cook Islands, Cook Islands, mostly 1970's mint, Japan album various mint and Lottery sheets, France mostly mint from 1950's to 1975; Swiss album, 8/C18 mint/used, 3 albums of Israel, most mint, Australia mostly modern mint n.h., album of various countries, A-F, includes some better mint China, Davo binder of Netherlands mint, 1950-1990, and a huge accumulation of mint and used filling one of the banker boxes to the rim with many hundreds of mostly mint sets, singles, souvenir sheets with a number of items cataloging over $100, highlights include three British Omnibus issues; 1935 Silver Jubilee, 1937 Coronation and 1945 Peace issues (two sets), boxes of all mint n.h. sets and singles, another similar but mint and used, a large glassine bag filled with larger items like mini-sheets, souvenir sheets, year sets and much more, well worth viewing to appreciate., generally Fine to Very Fine. Worldwide, Modern Hoard, many thousands of n.h. sets, singles and souvenir sheets with heavy dupl. and much topical, areas incl. British Caribbean incl. imperf color proofs, Tonga, Libya, independent French Africa, good for eBay sales, generally Very Fine. Worldwide, New Issue Hoard, n.h., many thousands of n.h. sets, singles and souvenir sheets with heavy dupl. and much topical, countries incl. British Caribbean incl. 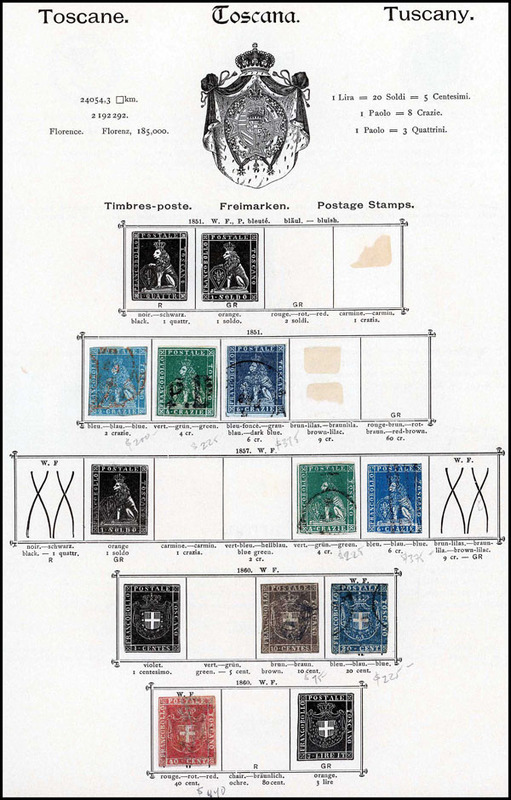 imperf color proofs, Tonga, Libya, independent French Africa, bit of Mexico, good for eBay sales, generally Very Fine. Worldwide, Multi-Country Accumulation, Three cartons filled with a dozen albums representing a variety of countries and areas, including three Scott Specialty Albums of Independent Africa, incl. nice runs of Guinea, Liberia, Libya and Morocco, two volumes of France scattered mint and used, Russia 1857 to 1962 incl. #546-50 559-68, C69-75, Liechtenstein 1920's to 2006 mostly mint, Luxembourg Specialty Album with stamps from 1875 to 2005, old well-filled Scott Worldwide album, Finland in bound pages, mint VF n.h. 1974-2005, Canada album, few early, Admirals and mint to 1975, Greenland album, 1938-2005 incl. mint 1-20 (Cat. $400+), generally Fine to Very Fine. Worldwide, Dealer Stock of Substantial Excess of Sets and Singles, In #102 cards in 17 boxes (10" white boxes used to ship 1000 new cards) which have discounted prices from under a dollar to $50+, divided into three A - Z groups, with everything in alphabetical/numeric order, a relatively fresh stock which includes new issues up to 2015 and covers virtually every country existing plus a host "dead countries", inspect to appreciate., generally Fine to Very Fine. Worldwide, Collection in 2 Old Albums, Scott International 19th Century edition, and 1901-1919, many hundreds mostly used but some o.g. especially in U.S. issues, includes some better U.S., Korea, Canada and, China, some with faults but still worth close look, also few covers, mostly Fine or better. Worldwide, Collection in Minkus Supreme Globals, 10 albums with slip cases pages to 1992, several thousand mostly used with a scattering of mint o.g. sets, mostly Fine or better. Worldwide, Mint Assortment of Sets and Singles, In small binder on dealer cards (n.h.), cat. value range from $8 to over $100, Fine to Very Fine. Worldwide, Used Collection in 1890 European Album, Many hundreds majority used incl. some cut squares and Revenues, incl. some better German Area, Asia and Latin America, condition very mixed and album has some pages missing or cut but still worth a look. Worldwide, Collection in 10 Albums, Mounted in Harris Albums, many thousands, mostly used with a scattering of o.g. sets, few interesting British, U.S. and some used PRC, generally Fine. Worldwide, Mint and Used Mostly 20th Century Collection, many thousands in 2 boxes, majority range from 1940's to 1970's, housed in five full albums, plus souvenir packs and loose, etc., inspect, generally Fine to Very Fine. Worldwide, Post WWII Seals and Labels, Over 4, 100 in 3 stockbooks, nice variety, Fine to Very Fine. Worldwide, New Issue Hoard, n.h., many thousands of n.h. sets, singles and souvenir sheets with heavy dupl. and much topical, countries incl. North Korea, Mongolia, St. Vincent, Tonga, Mexico, many topicals, good for eBay sales, generally Very Fine. Worldwide, Mint and Used Accumulation, as received, four cartons containing a wide assortment of material incl. U.S. as well as Foreign postage, Postal Stationery, covers, country collections, stockbooks, etc., worth a look, generally Fine to Very Fine. Worldwide, Collection in 5 Albums, 4 Scott International albums with pages to 1948 plus one Regent album, thousands mostly used with a few better Great Britain & Colonies, France, German Area and Eastern Europe, generally Fine to Very Fine. Worldwide, Zeppelin Accumulation, Few hundred items including mint and used stamps, PPC's, covers and some ephemera, worth a close look, Fine or better. Worldwide, Balance of Estate, Few thousand in albums and stockbooks including mint Switzerland, France used older issues and n.h. new issues, Scandinavia, and Australia mint year sets, Fine. Worldwide, Accumulation in Albums or Stockbooks, Thousands in 18 albums or stockbooks mostly used including 3 Scott Brown International albums and 3 International Junior albums, plus couple country collections, generally Fine to Very Fine. Worldwide, Collection in 2 Scott International Albums, Few thousand from 1840 to 1955 majority used with a few o.g., includes some better Great Britain (used #1-2), Ceylon, Mauritius, and Western Europe, generally Fine to Very Fine. Worldwide, Collection in 6 Albums, Thousands on mostly Minkus pages to 1970's, mostly used with a few better mint sets from Italy, Portugal & Colonies, generally Fine to Very Fine. Worldwide, Interesting Accumulation, Thousands on album pages, stockpages and envelopes, mostly used but a scattering of o.g. or n.h., sets, with few better Japan and British Area, generally Fine to Very Fine. Worldwide, Interesting Accumulation, few thousand majority used but incl. some new issues incl. Hong Kong and Papua New Guinea, also a few better Ryukyus incl. FDC's, Fine to Very Fine. Worldwide, Collections With U.S., o.g., some never hinged / some hinged, 4 binders and 1 stockbook of several thousand from 1879 thru 1968, incl. U.S. National album, mostly n.h., incl. Washington-Franklins, 3¢ Columbian (x.f. ), C1-C5 and C18 (n.h.), British American Album 1890-1968, mint and used with some complete sets, Harris Citation Album, 1879-1968 mint and used, mostly Fine or better. Worldwide, 5 Volume Scott International Collection, o.g., several thousand mint and used from 1840 to 1970's, incl. Asia, Europe, Colonies, etc, a few better, good pick book material, mostly Fine or better. Worldwide, Balance of Estate, Few thousand including mint GB Machin Heads, mint and used French and British Colonies, German Area, and few Asia, plus some U.S. FDC's, generally Fine to Very Fine. Worldwide, Collector's Accumulation, more used than mint, on album pages, stockpages, in envelopes, #102 cards etc., mostly sorted by country incl. Germany, Netherlands, Austria, mostly lower end, Australian States, a few with certs., mostly Fine or better. Worldwide, Balance of Collection, Including Poland in 2 albums with some mint, few better Baltic States, Romania, German used stock with some better Berlin and mint U.N., mostly Fine or better. Worldwide, New Issue Hoard, n.h., many thousands of n.h. sets, singles and souvenir sheets with heavy dupl. and much topical, countries incl. North Korea, Mongolia, St. Vincent, Tonga, Lithuania, Mexico, many topicals, good for eBay sales, generally Very Fine. Worldwide, Modern Hoard, n.h., many thousands of n.h. sets, singles and souvenir sheets with heavy dupl. and much topical, countries incl. North Korea, Mongolia, St. Vincent, Tonga, Mexico, many topicals, good for eBay sales, generally Very Fine. Worldwide, U.S., Japan and Belgian Colonies Mint and Used Collection Group, Contains 3 volume U.S. singles (1861 to 1980) incl. #630 and plate blocks (1954 to 1971), 3 volume Japan with some classics up to 1987, plus album pages containing early 20th Century Belgian Colonies, generally Fine to Very Fine. Worldwide, Postally Used Accumulation, Many thousands, value mainly in Middle East Area, generally Fine to Very Fine. Worldwide, Sheet Accumulation, Thousands in mint or c.t.o. sheets and partial sheets, great for a packet maker, generally Fine to Very Fine. Worldwide, Collection in 3 Albums, Few thousand in 3 Minkus Master Global albums, majority used with a scattering of o.g. sets, generally Fine to Very Fine. Worldwide, Balance of Collection, Thousands in albums mint and used, stockbooks and on sales pages, mostly common but a few better 19th Century, generally Fine to Very Fine. Worldwide, 2 Banker Boxes of Used, Mostly packet off paper, close cut on paper (no U.S., little Commonwealth), loose and somewhat sorted in envelopes by country, occasional classics, inspect. Worldwide, Balance of Collection, Few thousand in albums mostly used incl. topicals, Vatican City, Netherlands and few mint new issues, generally Fine to Very Fine. Worldwide, Balance of Estate, Few thousand mint and used scattered in 5 Scott albums, with a few better Canal Zone and used G.B. #1, mostly Fine or better. Worldwide, Balance of Dealer's Stock, Few thousand including mint U.S. plate blocks, used U.S. and Foreign on sales pages, mostly Fine or better. Worldwide, 1900 to 1929 Collection, Few thousand mostly used scattered in 8 Scott red International albums, mostly Fine or better. Worldwide, Packet Maker Accumulation, Many thousands mostly used or c.t.o. including packets by country and full sheets, generally Fine to Very Fine. Worldwide, Mint and Used Junior Album Collection, Part 1 to 1940, emphasis on Commonwealth, also few mint sets on stockpages, Fine to Very Fine. Worldwide, Estate Balance, 2 banker boxes incl. pre-cancels, Stationery, covers, Revenues, used U.S. in Minkus albums, hundreds of Worldwide mounted on pages in home-made albums, Postal Commemorative Society material, etc., good rainy day project, mostly Fine or better. Worldwide, Souvenir Sheet Accumulation, 491 in glassines, mostly n.h. except Russia cto, noted 1940's to 1990's with much 1970's, Fine to Very Fine. Worldwide, Small Worldwide Collection, as received, four books mint and used Worldwide, mostly early to mid 20th Century, generally Fine to Very Fine. Worldwide, Miscellaneous Accumulation, several thousand mint and used in 10 Worldwide albums and stockbooks, Scott National album with 1920's to 1940's o.g., and five 1987-1991 U.S. year sets, decent pick book material, Fine or better. Worldwide, Miscellaneous Balance With Covers, 2 banker boxes of Postal Commemorative panes, golden replicas, Foreign, Bicentennial covers, Y2K Worldwide covers, etc, generally Fine to Very Fine.